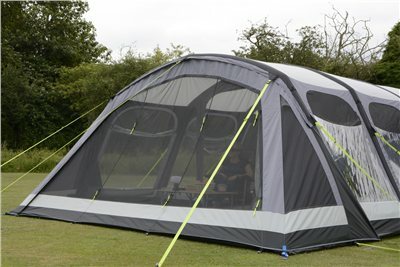 A full mesh flyscreen panel that zips on to either the Hayling 6 Air Pro or Hayling 6 Classis Air Pro Tents from Kampa. The mesh vestibule will also zip onto the additional canopy for Hayling 6 Tents. Also fits 2018, 2017 and 2016 models of Hayling 6 Air Pro.